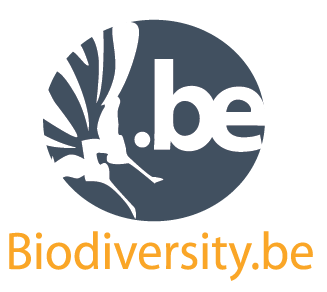 On October 4th 2018 the project Green Light and the Belgian Community of Practice Biodiversity & Health will organize a big network event in Antwerp. Location: Elisabethzaal next to the Zoo Antwerp. There will be room for lectures, experiments, workshops, walks, networking, a market for projects, initiatives, networks, organizations (research, policy, practice). If you want to collaborate in the organization and/or want to propose activities for the meeting, please contact Hans Keune: hans.keune@inbo.be. Further practical information will follow. The Belgian Superior Health Council assesses the relation between nature and health in urban areas in Belgium. In November 2017 a group of experts was initiated to advice the Council about how contact with nature can have a positive effect on human health, but also about how contact with nature sometimes can have a negative effect on human health. 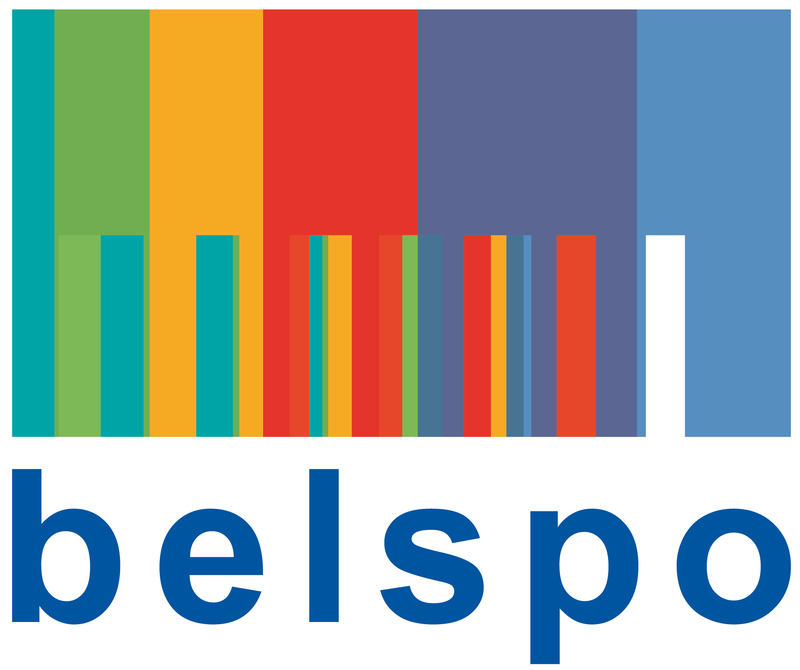 At the end of 2018 the ‘Green and blue cities: nature and health in an urban setting’ project aims to deliver advice to Belgian federal and regional authorities. Simultaneously the Council aims to deliver concrete recommendations to stakeholder groups and citizens. More information about the assessment process here. 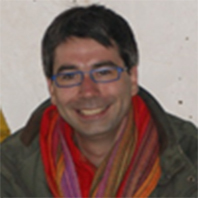 If you have suggestions, please contact Marleen Van den Brande, scientific collaborator of the Council. 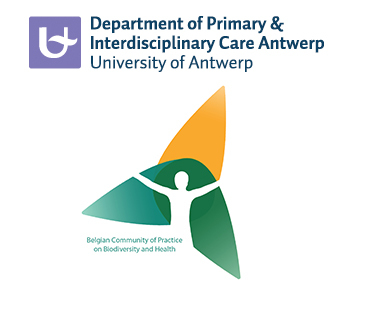 The Department of Primary & Interdisciplinary Care form the University of Antwerp will hold a Chair on Care and the natural living environment for three years, from 2019 onwards. Main aim of the Chair will be to achieve more attention in primary health care for the natural living environment, focusing on research, education and services. The Chair will closely collaborate with the sponsor, the Provence of Antwerp, and welcomes collaboration with interested groups at the University of Antwerp and beyond. Inauguration: March 28th 2018 from 16.00 – 18.00 (reception included) at Campus Drie Eiken. Registration obligatory: more news in January 2018. 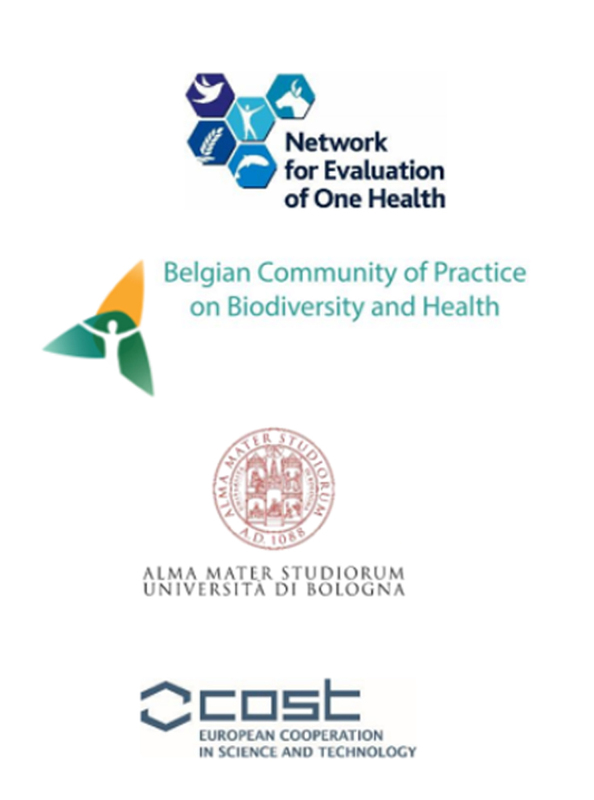 The EU COST funded project Network for Evaluation of One Health (NEOH), the Belgian Community of Practice Biodiversity and Health and the Department of Agricultural and Food Sciences (DISTAL) of the University of Bologna are organising the European conference on Creating impact for One Health and Ecohealth: advancements in implementation, evaluation and governance. The aim of the conference is to explore how EcoHealth and One Health approaches are being evaluated and implemented in practice, to learn about changes in institutional and regulatory structures at national and international levels and to discuss how the process of translating science into practice can be promoted further. The conference builds on the 2016 European OneHealth/EcoHealth workshop in Brussels. Collaboration between science and practice: A continuous process. Mention the topic, co-organizers and format of your session (presentations, discussion, dialogue-workshop, focus group, …). Submission deadline January 31st 2018. Roy Remmen and Hans Keune (both Department of Primary & Interdisciplinary Care form the University of Antwerp) are selected as experts for the EKLIPSE review panel on the effects of peri-urban blue/green spaces on human mental health and mental well-being. The first expert meeting was held on November 14th 2017 in Paris. The Secretariat of the Convention on Biological Diversity (CBD) and the World Health Organization (WHO) organized a Regional capacity-building workshop on biodiversity and human health for the WHO Europe region from 23 to 25 October 2017, in Helsinki, Finland. Many European countries were present with representatives from both health ministries and nature or environment ministries. The Twenty-first meeting of the CBD Subsidiary Body on Scientific, Technical and Technological Advice (SBSTTA) was held 11 - 14 December 2017 in Montreal, Canada. Biodiversity and Health was one of the agenda points, including a guide for One Health implementation. In preparation for this meeting, EU experts discussed all agenda points, including the one on biodiversity & health: pg 27 – 30 of the report. - A network on transdisciplinary One Health education. - A network integrating inputs from social sciences in One Health/EcoHealth actions and networks. - A network aiming at translating research findings on the Environment-Microbiome-Health axis into policy making, with a view to make healthy ecosystems a cost-effective disease prevention healthcare strategy. Vacancy for a high-calibre interdisciplinary social scientist to work on a European Research Council (ERC) Consolidator funded project entitled ‘Environmental Spaces and the Feel-Good Factor: Relating Subjective Wellbeing to Biodiversity (RELATE)’. The position is full time for three years. The post holder will be based at University of Kent. Further details can be found here. The application deadline is Sunday 21st Jan. I am first working from the perspective of livestock and animal health in the Global South. Livestock is one of the many links between nature and human health. Providing food, work, fertiliser and as a means of savings, livestock contribute to livelihoods, food and nutrition security, hence to human health. However, the environmental impact of livestock is also important to consider, as well as the direct risk posed by zoonotic diseases, originating from livestock or wildlife. There is a balance to seek, which I try to understand and promote with a social science approach, analysing the decision-making of stakeholders. These networks are obviously crucial for an interdisciplinary topic like this. Since institutes are most often organised along disciplines, interdisciplinary sciences are most often developed based on such networks. 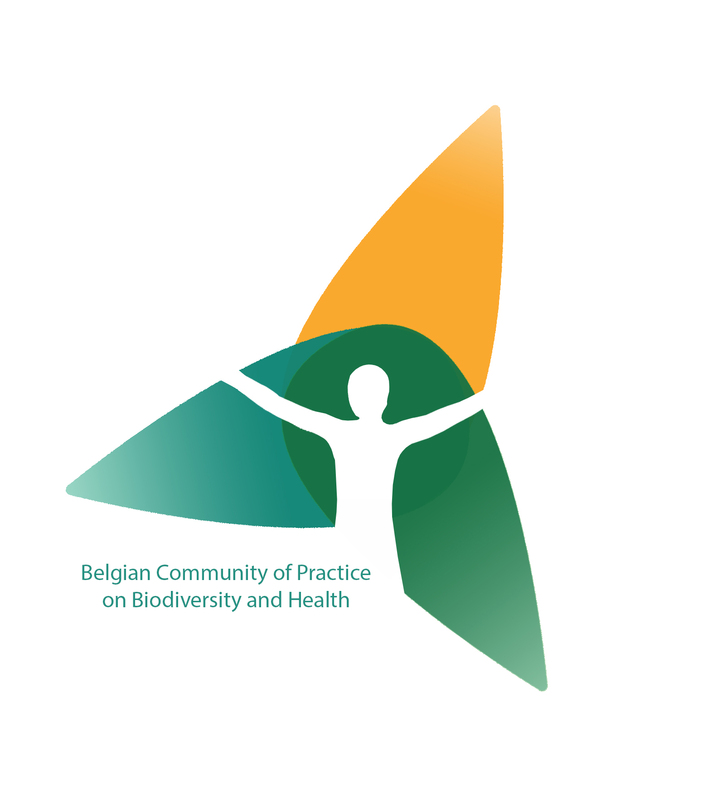 As a matter of fact, I met and kept working with several of my partners through the Belgian Community of Practice Biodiversity & Health.